January | 2014 | Sonic Smash-Music! 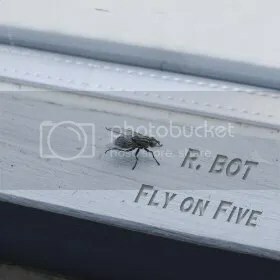 The international composer of digital music known as R. Bot has released his debut full-length record, “Fly on Five.” The album is comprised of 12 original tracks for an approximate total listening time of one hour. Categorized variously online as Balearic, downtempo, EDM or simply electronica, R. Bot’s latest official offering is a highly textured and creatively atmospheric album. “Fly on Five” recalls the very best of the mid-’90s electronic music underground scene, much of which flew beneath the mainstream radar for being far too ahead of its time. R. Bot’s “Fly on Five” constructs an alternate reality around the listener full of majesty and awe, suggesting stainless-steel environments and journeys through the cosmos without ever sounding silly or contrived. It has clear and powerful elements of the ambient subgenre, yet with clear structures and melodies. Its general composition is closer to classical music than the looped machinations of popular contemporary EDM, reminiscent of the subtle complexities of digital music before the turn of the millennium. The explanation for this is that R. Bot’s “Fly on Five” is a sonic time capsule, its tracks having been composed in the mid 1990s. Using his first synthesizer, a Roland D50, and recording live on digital audio tape, R. Bot produced a bevy of compositions. His favorites from these make up the “Fly on Five” LP. Fans of digital music everywhere have very good reason to be glad for it. Get in early. “Fly on Five” by R. Bot is available online worldwide beginning 1 February 2014. 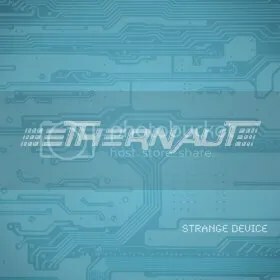 The composer of electronic music known as Ethernaut has released his new EP record, “Strange Device.” The EP is comprised of five original tracks for an approximate total listening time of 20 minutes. A full, textured and extremely colorful album, “Strange Device” is a unique departure from mainstream electronic music in an era dominated by house and dubstep EDM, marking Ethernaut as one of the most creative artists in the digital music scene today. While these may seem like unusual branches of music to focus on, they boast a contrasting quality that nearly every genre of music omits. “I’ve always especially loved artists that blend two seemingly-unrelated genres,” writes Ethernaut. Perhaps surprisingly, the result that Ethernaut’s streak of individualism has had on “Strange Device” is clear, refreshing and natural without sounding forced or overwrought. It utilizes elements of early electronica but does not sound like any album published before. “Strange Device” sounds intuitively like a sonic representation of Ethernaut’s actual persona, both organic in tone and alive in motion. “Strange Device” by Ethernaut is available online worldwide beginning 2 February 2014. The voice of groove, soul and R ‘n’ B known as Marley J. Wills has released his latest single, “Our Groove.” The song has been released in collaboration with producer Manifest and DaGrooveStation (link provided below). A proper introduction of Wills, Manifest and DaGrooveStation to the world at large, “Our Groove” stands as an example of the spirit of soul and R ‘n’ B these artists are infusing their music with, and as proof that they are no rookies to the scene. Marley J. Wills cites as main artistic influences a vast list of legends, such as Sugar Minot, Michael Jackson, Garnet Silk, Earth Wind and Fire, and Bones Thugs and Harmony. The rhythm and pop sensibilities of these geniuses emanate from “Our Groove” like heat, but there are also reggae vibes present, like those of Burning Spear, and a touch of funk in its delivery, like the natural power of James Brown. Much of the titanic strength of “Our Groove,” comes from an obvious passion for meaningful poetry combined with music of the purest quality. One key line from Wills’ single runs, “It’s about putting the music back, back into the songs,” a direct declamation of modern trends in popular music today. While it may be said that each new era in music is decried by the former ones, current fads such as autotuned vocals, unrestrained studio effects and a dearth of lyrical meaning has been inexhaustibly questioned by critics, artists, and listeners of all ages, unilaterally for the first time. Listening to tracks offered at DaGrooveStation, such as “Our Groove,” for just minutes alone is enough to understand the intensity with which these artists have carefully penned their words. 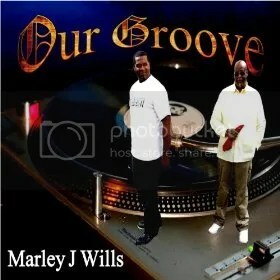 “Our Groove” by Marley J. Wills is available online worldwide beginning 1 February 2014. Get in early. The rock crew from Leicester, UK known as FourPointOh have released their debut LP record album, titled, “Young and Wasted.” The record is comprised of 11 original tracks for an approximate total listening time of 50 minutes. Raw, real, and full of power and heart, “Young and Wasted” by FourPointOh stands as evidence that rock ‘n’ roll is more alive than ever, and still doesn’t need digital effects to pack a punch. FourPointOh cite as main artistic influences a mixing bowl of metal and hard-rock influences, including Iron Maiden, Rush, Alterbridge, Paramore, Metallica, Rise Against, Queen, and Megadeth. Rather than mashing these together to produce a gray amalgam, though, FourPointOh have clarified the root similarities with a result that recalls the definitive garage-metal sound of the 1980s and early ’90s. These broad musical interests add texture and range to their tone, too. While songs like “Damnation,” “Interlude” and “Save Me from Myself” come straight from the truest metal tradition, songs like “Scarred,” “Let’s Go” and “We’ll Make It Through” are even reminiscent of early UK punk bands with female leads, such as the Avengers. The result is a heavily emotional record interspersed with moments of upbeat aggression for a balanced, engaging and energizing listen-through. For audiophiles interested in lyrical content, FourPointOh have spent time honing their craft as songwriters. 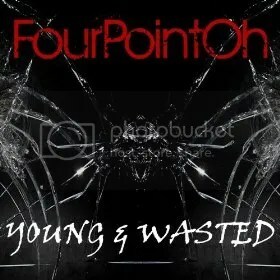 While the official studio release of “Young and Wasted” is spearheading their international campaign today, FourPointOh are tireless performers, and famed in the UK for their onstage appearances all over the nation. Their official bio states that they have played more than 50 shows, a titanic feat for musicians still in their teens. This number is likely much higher since the time of its writing. FourPointOh have played a great many rock festivals, including Glastonbudget, Cosby Big Love and Oxjam. They were finalists in I Wanna Be a Rockstar, 2013, and winners of the Festival of Rock Battle of the Bands, 2012, held on the main stage at the 02 Academy Leicester. “Young and Wasted” by FourPointOh is available online worldwide beginning 1 February 2014. Get in early. The female trio of pop vocalists known as Darla Diablo have released their new single, “My Prince.” The track is the most recent official release from the girls since three songs appeared on digital shelves around the world in November of 2013, “Wind Chimes,” “Make My Eyes Rain” and “Don’t Tell Me.” Each of the songs has been published by the Poche Productions music company. With the latest capstone release of their “My Prince” single, Darla Diablo have been garnering public attention with plenty of critical and fan acclaim, and promise that 2014 will see the release of a full-length album. 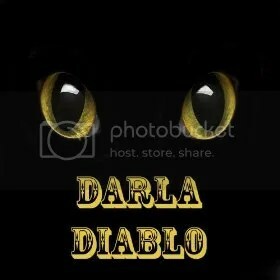 Darla Diablo’s main attraction is the genuine, heartfelt and sweet tone with which their vocals are sung. Their delivery is natural, unadorned, and innately talented without seeming overwrought. Crafted out of the purity of their performance, Darla Diablo’s “My Prince” and other songs are recorded without the army of digital effects that often comes between the listener and the artist in a modern music studio. Backed by intuitive, creative and powerful songwriting, Darla Diablo are a crew to watch in the coming months. “My Prince” itself is a contemporary love song in the spirit of classic girl groups such as the Shangri Las (“Leader of the Pack”) and Rosie and the Originals (“Angel Baby”). In this Darla Diablo strikingly succeeds, bringing new vigor and vivaciousness to a genre that has enjoyed the clamoring demand of music fans since its rise to prominence in the 1950s and ’60s. “My Prince” is no throwback, however, boasting a modern beat that carries Darla Diablo’s singing perfectly. Fans of girl groups and undeniable songwriting have a rare treat in Darla Diablo. Their upcoming 2014 album is something listeners of pop music should look forward to with happy interest. “My Prince” by Darla Diablo is available online worldwide beginning 31 January 2014. A stalwart crew of Vietnam veterans has released a new music single, titled, “PTSD, the Enemy.” The group has been financially supporting veterans who are afflicted with PTSD for more than 30 years. The group, whose website is the same as the title of the song (link provided below) uses a portion of the proceeds to provide direct economic assistance to veterans in need. 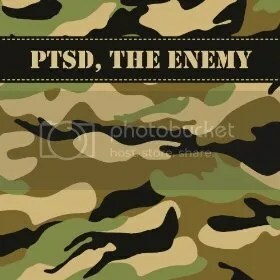 VeteransandPTSD.com reports that of the 2.3 million veterans of the USA’s wars in Iraq and Afghanistan, at least 20% of them have PTSD. Of these, approximately 50% will seek treatment, but only one fifth will receive what a recent RAND study termed “minimally adequate treatment.” “PTSD the Enemy,” and the group of military veterans who made the song possible, exist to bring aide to these hundreds of thousands of men and women waiting to hear from government agencies regarding their disability status. “Too many veterans wait too long for a decision, and this has never been acceptable,” said VA Secretary Eric Shinseki, speaking of the lengthy process to approve a medical claim for PTSD. “That is why we are implementing an aggressive plan to eliminate the backlog in 2015. However, 2015 remains a long way off. “PTSD, the Enemy” is a sure way to deliver help where it is needed most. Many of the 8.2 million Vietnam-era veterans with PTSD still need assistance even now. The single itself is modern and stylish, with a style not unlike a contemporary Tracy Chapman’s. Its lyrics are clearly and compassionately written through the voice of experience. “PTSD, the Enemy” is available online worldwide. 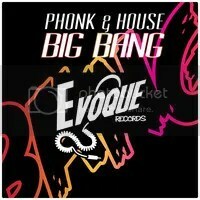 The Norwegian duo of electronic music composers known as Phonk and House have released their latest music single, “Big Bang.” The single is the most significant official release from Phonk and House since their December, 2013 release, “Get Up.” Both singles have been published on the Evoque music label, as will be their newest track, “Rogue,” the preview for which was made available at Phonk and House’s official Soundcloud page on 28 January. The sound of “Big Bang” is full, heavy-hitting, and jubilantly loud in the style and tradition of the greatest European house artists. The song is populated with the hi-powered synth sound fans of contemporary club music have demanded since its innovation in the early 1990s, as well as with thumping, pounding bass beats and elegant, aggressive melody lines. Fans of digital musicians such as Sweden’s Aviici and France’s David Guetta will be enthusiastic about this EDM party anthem from Phonk and House. Phonk and House is the stage name for electronic composers Tom and Kay, who began writing and performing together in 2007, having come from a diverse range of musical experiences. Late the same year, they founded the Norwegian Electro Association, a society of Norwegian music producers. Their live shows have garnered them a broad and devoted fan base throughout Europe’s house-music underground scene since that time. As regular personalities on RadioVolum, Phonk and House have made themselves as much of an online phenomenon as they have live. As a result of their widespread critical and fan acclaim, they were invited by the 53rd Annual Grammy Awards to submit their 2010 track, “High on Life,” for consideration. “Big Bang” by Phonk and House is available online worldwide.